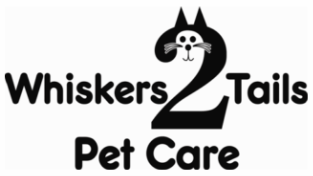 Whiskers2Tails Pet Care offers in-your-home pet care. Whether you are going on a vacation or business trip and are unable to care for your pet(s), your solution is just a phone call or email away! You are the most important part of your pet's life and when you are away, it creates stress and anxiety for your companion. Whiskers2Tails Pet Care offers the comfort and care of a knowledgeable, pet-loving caretaker in the familiarity of your own home. By keeping your pet at home and supported by regular visits from an experienced pet sitter, you are minimizing their discomfort and your worry. Whiskers2Tails Pet Care offers compassionate and practical, necessary support to feed, provide activity, administer medication*, and otherwise assist you and your pet while you are away. Whiskers2Tails Pet Care is insured and bonded by Pet Care Insurance. *Our sitters are experienced at giving all kinds of medication, including injections for diabetic pets.